Former CIA head Woolsey quits Trump team as standoff intensifies over Russia. 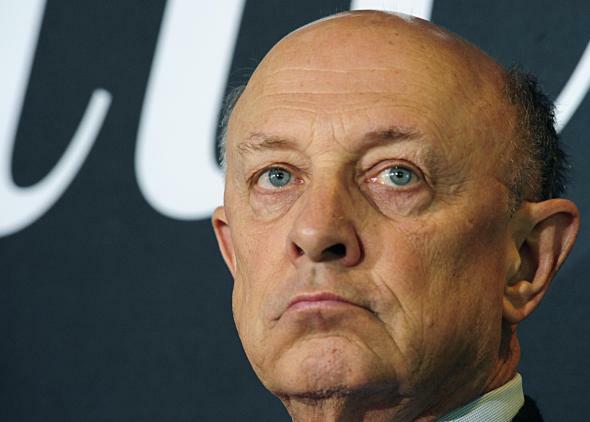 Former CIA director James Woolsey on Nov. 19, 2008, in Washington, D.C.
Former CIA director James Woolsey resigned from the Trump transition team Thursday, as the president-elect’s dismissive attitude towards the U.S. intelligence agencies and reported plan to overhaul America’s intelligence infrastructure heightened tensions between the CIA and Trump. Woolsey, who served as head of the CIA under Bill Clinton, was a senior adviser to the transition team after joining the Trump campaign in September. When he signed on last year, Woolsey lauded the then-Republican candidate for his support for military spending and his judgment, saying the former reality TV star “seems willing to keep a secret and not to blab everything to the public and our opponents.” Despite his decades of experience, according to the Washington Post, Woolsey was increasingly sidelined by Trump and soon-to-be national security adviser, Lt. Gen. Michael Flynn. [People close to Woolsey] said that Woolsey had grown increasingly uncomfortable lending his name and credibility to the transition team without being consulted. Woolsey was taken aback by this week’s reports that Trump is considering revamping the country’s intelligence framework, said these people, who spoke on the condition of anonymity to talk candidly. … The person close to Woolsey described him as having chafed at Trump’s loose style on Twitter. They described Woolsey as a “very principled” diplomat who takes care to communicate the right message with just the right words. “Effective immediately, Ambassador Woolsey is no longer a Senior Advisor to President-Elect Trump or the Transition. He wishes the President-Elect and his Administration great success in their time in office,” a spokesman for Woolsey said in a statement Wednesday.